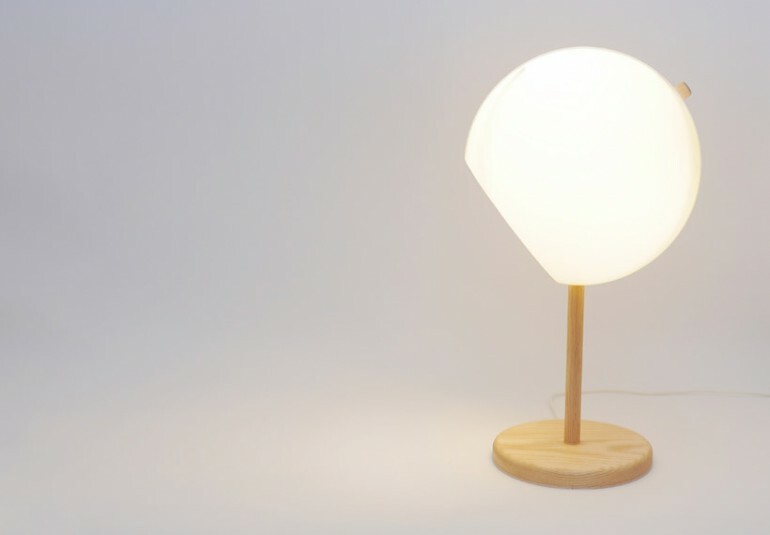 The C-shape shade that directs and defuses the light can easily be reoriented by tilting the tip of the wood pole of the lamp. It gives user an illusion that the center pole bends, and functionally it works as a knob for controlling lighting. The translucent C-shade is supported by three steam-bent wood rods. The light bulb is set at the center of the shade so it directs/defuses light equally in all angles. A socket is made for locking in the wood pole while the shade is being tilted down to the lowest point.